Sometimes life on Earth gets to be a bit much. The weather gets us down (ick heat wave! ), our loud and nosy neighbors annoy us, the price of gasoline is too high to justify driving around town. And so we turn our thoughts to colonizing other planets. 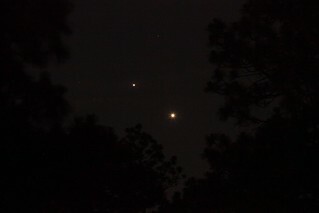 Planets such as Mars, or if you are like me, you might want to live on one of the Moons of Jupiter. But in order for this to happen, we need certain things. Because of the adventures of Col. Chris Hadfield, we know that we can’t live without a guitar and the David Bowie Songbook (among other valuable information he has taught us). Being earthlings, we are used to certain things – fresh water, vegetables, sunlight, and oxygen. We are going to have to make some concessions on these semi-necessities, when we jet off to foreign planets. But thanks to LED and Researchers at Purdue University, vegetation on Mars (or a moon) will not be a problem. HPS lamps and traditional lamp and energy sources are just not going to cut it out there. Its way too expensive, not to mention the fact that it could ruin the plants with dehydration. So really the only solution, at least immediately, is LED. Growers, farmers, and horticulturalists already know that that LED’s can focus on only the necessary parts of the colour spectrum. Plants only use a small portion of the sun’s energy, using red and blue light over the other colours. Researchers have discovered that giving lettuce a red-heavy diet with a dash of blue led to the highest yields, while slashing energy consumption by a factor of 10. This is the kind of work is what is going to get us into space. For more readable information on these developments, please read the article found on Gizmodo. Lots of work ahead, but once we get the light source and vegetation straightened out, it should be a smooth rocket trip to our new homes, wherever they may be. But in the meantime, we can still use this technology on Earth, while we are waiting for it to be perfected. There are lots of LED products available on our line card. The manufacturers that we rep are doing tremendous things in the world of LED technology.  LSW Lighting is issuing a challenge to our lighting friends. Send us a photo or video of your outdoor Christmas display, and you could win goodies from us. I have no idea what these goodies are – but one of our mall Santas (we have 3) promised me that it will be skookum (that means fantastic). So the contest is wide open – you have complete creative control. You have a bit of time to add some extra pieces to your display, if you feel its needed, since our contest runs from today (Dec 17th) to the end of the day of Dec 23rd. One last piece of advice- the more lights, the merrier the mall santas. *And because it must be said- photoshopped entries will be disqualified. At least the obvious ones. The app is a great help to people who work in the world of lighting because the entire Philips lighting catalog is available in an instant. The Philips Proluminaire Catalog App (updated for iOS and Google Android) can be downloaded on the Apple and Google Play stores. For a closer look, mosey on over here.